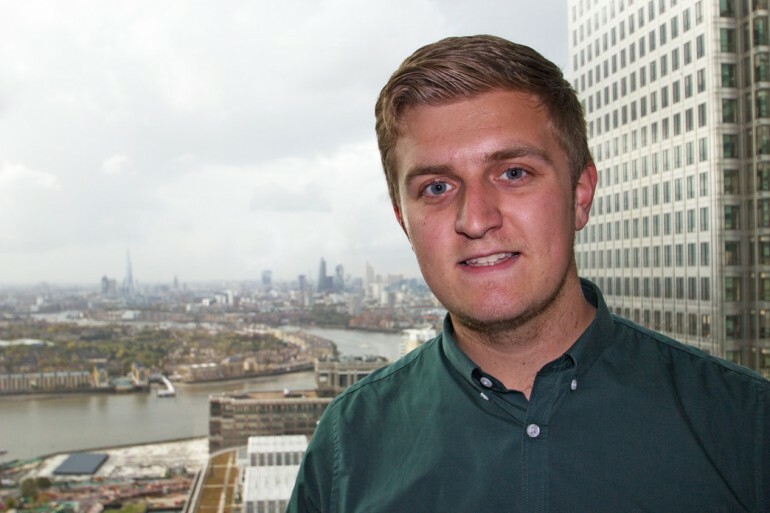 #TeamCrossrail Blog: Rhys Whitehead, Assistant Cost Engineer - Crossrail . For information about the Elizabeth line please visit the Transport for London website. After completing my A Levels, I decided to apply for apprenticeships instead of taking the university route as I wanted to continue learning whilst earning and gain valuable experience in the workplace. I joined Crossrail as an apprentice and have enjoyed every minute of it. I knew that working on Europe’s largest construction project would not only be fascinating but would also be a major boost to my CV. My original role was Reporting Co-ordinator where I was responsible for the production of construction progress reports throughout the month to the Area Director. I also organised meetings throughout the week to update performance trackers so everyone could clearly understand the progress that we were making. Once a week I would go to college to work on my portfolio to achieve my NVQ. After I completed my NVQ, I secured a full time job at Crossrail as an Assistant Cost Engineer. In this new role I am working with and supporting the Lead Cost Engineer to analyse and report on the cost status of construction works. Crossrail has also taught me a lot of additional skills including presentation and IT skills as part of my continuous development. I’ve also had the opportunity to meet with colleagues throughout the project and to share ideas and experiences. As part of my apprenticeship, I created an apprentice guide booklet for new apprentice starters to get a better insight into starting their career at Crossrail. It was very well received and is still used as part of the induction programme for all new Crossrail apprentices. I was very overwhelmed by the success and feedback I got from this booklet from my colleagues in Crossrail. It still puts a big smile on my face today and it is something I hope will help future apprentices joining this fantastic project to settle in quickly. I am proud to work for Europe’s largest construction project. I will remember working for Crossrail for the rest of my life, as it has opened up many opportunities to further my career.